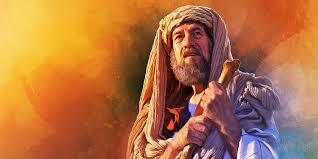 Certainly Abraham was a very real and historical person who lived a prosperous and active life. He was the first Hebrew and so considered the Father of the Hebrew nation. He lived to be 175 years old. So why does the song say that I am one of his many sons? And why praise the Lord over this? And what kind of Model Father is Abraham anyway? Quite a promise. Completely unwarranted. There’s little warning or set-up in Chapter 11. Abraham is a mere man, son of Terah, who is chosen by God out of obscurity to play a key role in God’s reconciliation plan. But what about Abraham and the Father Model? A Good Father Respects, Honors, and Believes God – Abraham was not a high-performer or scholar; he simply respected God and honored Him through his obedient life. It was clear that he had been taught about Creator God by his own father. All of Abraham’s life was one that reflected as an obedient servant of God. A Good Father is Not Perfect – Abraham made several key mistakes and poor decisions that had dire consequences: he allowed his nephew Lot (ultimately of Sodom/Gomorrah fame) to initially travel with him when told to leave his family; he lied about Sarah being his sister rather than wife (twice!) to protect himself from opposition; he forced the offspring promise (Ishmael born of Hagar) when he and Sarah misinterpreted God’s promise. Nevertheless, God still accomplishes His purposes with imperfect people who believe. A Good Father Leads His Family – Abraham kept charging forward in leading and directing his family. His marching orders came from God, but he himself had to execute the work and directives, even if he experienced hardships and missteps along the way. A Good Father Teaches His Children About God – As Abraham was instructed by God, he passed this teaching and practices onto his children. While it’s clear in reading about the mistakes and misfortunes of Abraham’s family descendants, Abraham fulfilled his fatherly responsibility of passing on the ways of the Lord to the next generation. A Good Father is Kind and Noble – While Abraham showed evidence of human foibles and self-serving behavior, he nevertheless was a man who proved to be kind, fair, and noble. He was generous in dividing land with Lot; he put himself and his men in harm’s way in order to rescue Lot and his family when they were taken captive; he negotiated selflessly on Lot’s behalf in the attempt to save Sodom from destruction. As an overarching characteristic, Abraham was a good, kind and noble man. Aspiring traits for all fathers. Being a good father is a developed skill. It takes work and comes with growth and maturity. Of course, this Good Father Model is grounded in a faith and belief in God. Without God, fathering is merely behavioral and subjective to the cares and whims of man. Father Abraham lays down a humble example from which all of us can learn.